Esri announces the publication of Cartography. Redlands, California—Esri, the global leader in spatial analytics, today announced the publication of Cartography., a comprehensive, crisply designed compendium of information about what constitutes good map design.Written by award-winning cartographer Kenneth Field,Cartography. is a concise, beautifully illustrated reference guide to map design rather than a linear tutorial on mapmaking or a deep-dive discourse on underlying theory. The book grounds readers in the science and art of cartography and features more than 250 topics covering cartographic concepts and practices. Readers will learn about traditional topographic and thematic cartography, digital mapping, democratized mapping, fantasy mapping, and new mapping mediums. The book includes maps and illustrations by Field and his Esri colleagues Wesley Jones and John Nelson, with additional contributions from dozens of academics and cartography practitioners. The cover art is a selection of maps that artist Angela Andorrer painted onto the palms of people’s hands while at an International Cartographic Conference in Europe. 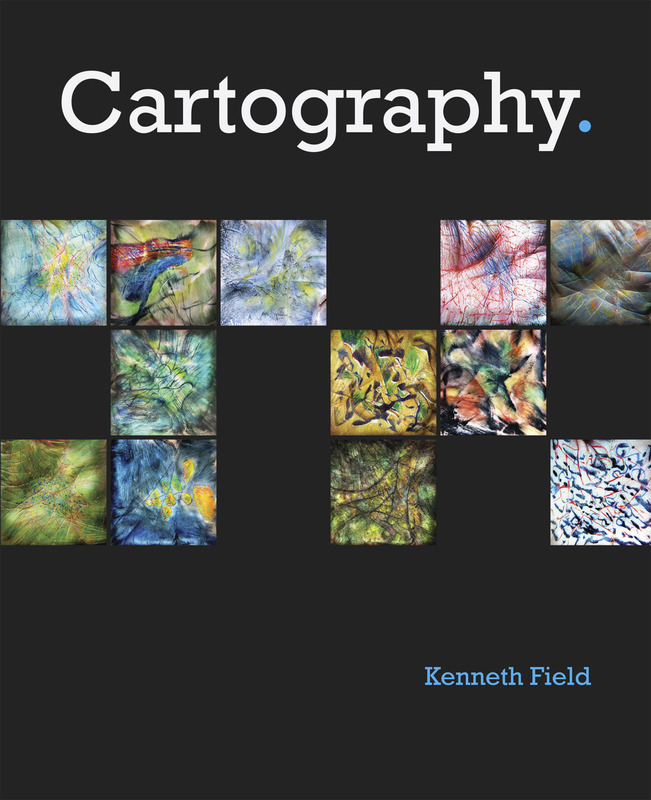 Field said he mainly wrote the book for people without an academic background in cartography but who are called upon to make maps as part of their jobs. This includes many professionals who work with geographic information system (GIS) technology on a day-to-day basis. His goal is to impart the principles, processes, techniques, and best practices of cartography to help them author maps that communicate information clearly, scientifically, and artfully. “Cartography doesn’t need to be hard, and more than anything, this book is about encouraging thought,” Field wrote in the book’s preface. “There’s plenty of what might be called rules, but these are just guidelines for cartography developed from decades of practice and people working out what works and why. Maps should be objective and have scientific rigor, but there’s plenty of scope for creativity.” It is this thinking that is key to the philosophy of the book and which drives smarter mapmaking. Field holds a PhD in GIS and a bachelor of science degree in cartography and geography. Before joining Esri seven years ago as a senior cartographic product engineer, he was director of GIS courses at Kingston University and the University of Northampton in the United Kingdom. Cartography. is a culmination of the knowledge gained from nearly 30 years’ research and work inside and outside of academia. This blend of academic and commercial experience gives Field a unique perspective on modern cartography—what works, what doesn’t work, and what can be shared to support everyone’s need for making great maps that inspire and, crucially, communicate. Why is there a period at the end of the title Cartography.? Cartography. is available in soft-cover (ISBN: 9781589484399, 576 pages, US$94.99) and in hardcover (ISBN: 9781589485020, 576 pages, US$129.99). Both editions can be obtained from most online retailers worldwide. They are available for purchase at esri.com/esripress or by calling 1-800-447-9778. Outside the United States, visit esri.com/esripressorders for complete ordering options, or visit esri.com/distributors to contact your local Esri distributor. Interested retailers can contact Esri Press book distributor Ingram Publisher Services.